If can be hard to stick to a healthy diet when you are constantly craving sweet treats. 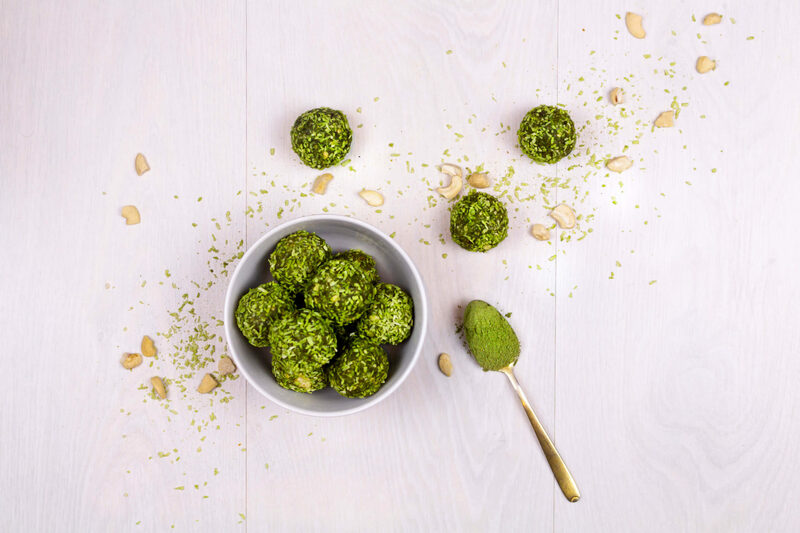 Help to curb your cravings by whipping up a batch of these Green Goodness balls with Supergreens. Along with being super tasty, they are vegan, gluten & dairy free. Finally, get your creative juices flow by experimenting with different nuts and rolling ingredients. Place all the ingredients (excepted those used for the rolling) into a food processor and blend until the mixture has come together. Scoop out ping pong ball sized balls from the mixture and roll between your hands. Once you have done all the balls, roll in the Supergreens powder and chopped pistachios. Place in the fridge until ready to serve.